Knife crime, is any crime that involves a sharp or bladed instrument, and can include anything from a kitchen knife or piece of glass to a potato peeler or a knitting needle. Knife crime can range from threat of violence, where someone is carrying a sharp or bladed instrument to someone who receives an injury as a result of a sharp object or bladed instrument. Many of those who carry knifes say initially they carried them for their own protection. Evidence shows that those who carry knives for their own protection are more likely to become a victim as a result and the knife can be turned on them. However some experts argue that often it is a fear of gangs and crime that leads to young people carrying knives, because they believe it will help to keep them safe. 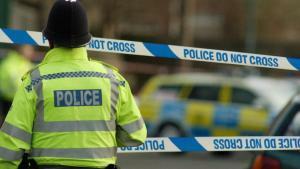 Those weapons may then be used which could make the number of violent incidents go up. Merseyside Police are working closely with partner agencies across the region to promote and increase public confidence in the force’s ability to reduce knife crime across our region. They do this by enforcing the law and also work to tackle the problem through education. Police want to educate young people from an early age about the dangers of carrying a knife and getting involved in violent crime. Schools have undertake a range of activities, including assemblies, a truancy sweep during school hours and after school patrols. These anti-knife lessons are telling young people not to believe the “myth” that it is safer for them to carry a knife. It’s hoped that this will reduce the risk of stabbings during the long hot summer holidays. Latest crime data from the Office of National Statistics reveals Merseyside Police recorded 945 serious crimes involving knifes during the last year. This is 18% on the previous year, which saw 801 knife crimes recorded, and the highest total on record figures going back to 2008/09. The heartbreaking incident is only one of a string of serious and fatal stabbings that have destroyed families and left others in fear for their safety across Liverpool in the last 12 months. 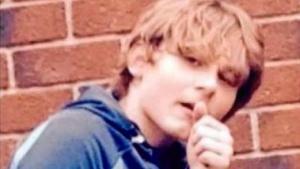 Daniel died from a single stab wound to his leg, two 17 year olds have been arrested and charged with his murder. A change in the Law means that anyone aged 16-17 years old who is convicted of carrying a knife for a second time will automatically receive a detention and training order of at least 4 months.